It's been over a year since I made the leap to Mailbird as my full-time Email client. 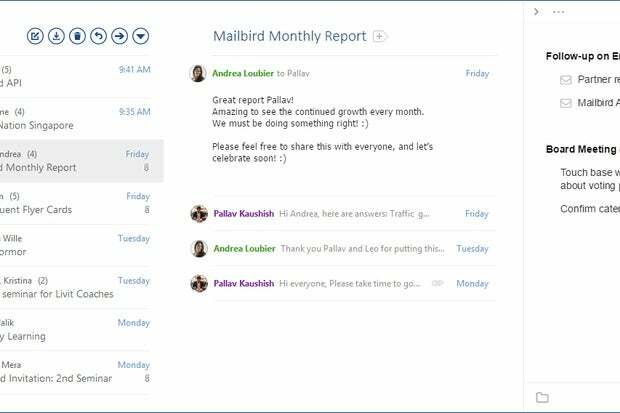 Over that time I have peeked back over my shoulder at the latest version of Outlook, but found that Mailbird was still the best solution for me with my Gmail accounts. This past week, after many months of development, Mailbird has released version 2.0 of the software - a polished and refined update to the original version. There are a couple of notable new features in 2.0, but the major improvement is in the UI and the performance. Mailbird now feels like a premium Windows application, properly built using Windows Presentation Foundation. This new version has a greatly improved email list area and compose message window where the previous version was a little laggy and rough. The default blue theme color makes it feel (initially) like the latest version of Outlook, and that's not a bad thing considering the level of polish there. If you prefer another color, you can switch between dozens of them at will. 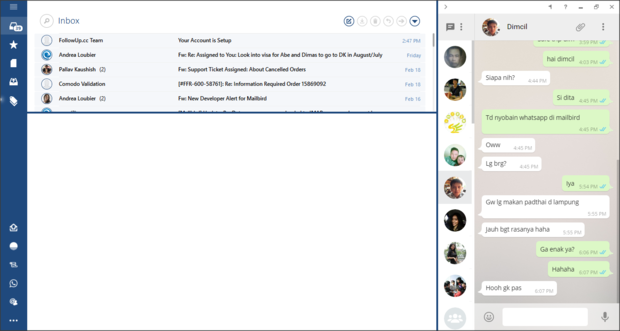 There are also new layout options to allow for both horizontal and vertical reading panes and message lists. 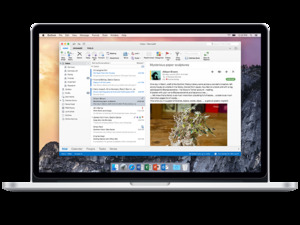 Switching between mail accounts and messages is now really fast. Gone are many of the minor but annoying glitches that caused the app to hang or messages to load forever until you restart the program. It's also clear that a big focus was placed on really polishing up the design. It's not a big change but it's the subtle improvements to spacing, sizing, and color scheme that bring the UI to the next level. New to this version is message Snoozing. If you just don't have the time to deal with a particular message, you can snooze it for a predefined period of time (or a custom one) and the message will vanish into a separate folder until that time. Once the snooze period expires, the message will come in as a new unread message again. It's not a new idea but the execution of it is good and once you make a habit of using the feature it comes in handy. There are a variety of new integrated Apps in 2.0, most notably a video conferencing app called Veeting rooms and WhatsApp integration. Personally I haven't found the app integrations very useful beyond Google Calendar but that doesn't mean you won't. If I were a WhatsApp user, I'd be excited about the integration there as your conversations can appear in a 3rd column right along side your Email messages. All of the things that made version 1.0 good are still here - keyboard shortcuts, multiple accounts, Google Calendar, Identities, Speed Reading etc. but everything works better. 2.0 has thoughtful support for touchscreen actions in this version too, supporting swipe to archive using both a laptop touchpad or a touch enabled screen/tablet. Still missing is Wingman, the premium Email analytics and reporting tool that has been in the works since the original launch but I'm not sure anybody is missing it at this point. With the latest version of Mailbird the program is even more enjoyable to use. A lot of people wonder why anyone needs a desktop client at all these days, but those people don't have more than one email address to manage or they don't spend half their lives replying to messages. Mailbird can connect to just about any email POP3 or IMAP account including Exchange and iCloud so it's a great way to consolidate all of the various identities you have floating around the web. If calendar functionality is important to you, you're still limited to Google Calendar, but the experience is a good one. This is the longest I've stuck with any desktop Email client other than Outlook and it looks like I've finally found the one I can leave installed for good.